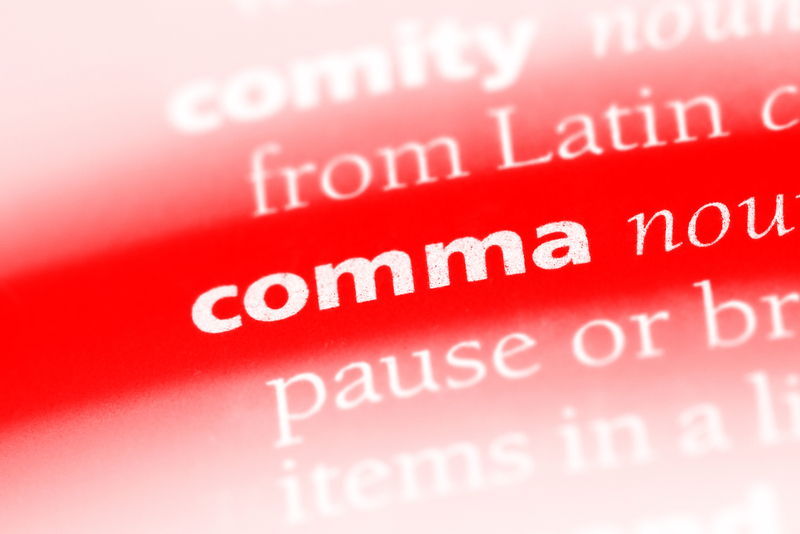 Careful writers use commas to separate three or more equal elements (words, phrases, or short clauses) in a series. To ensure separation of the last two elements, always use a comma before the conjunction in a series, known as the Oxford comma. Correct the punctuation in the sentences below. Among those attending were two interns, Tim Cook and Bill Gates. When hiring, the manager looks for candidates who possess strong communication skills, two years of experience and a bachelor’s degree. The company is cutting costs by addressing waste, overtime and supplies. The study found that new-hires were most interested in upward mobility, current employees cared most about benefits and retirees had concerns about pension stability. The book was dedicated to his parents, Mariah Carey and LL Cool J. To plan for retirement, new workers should open an IRA, save to create a cushion and consult a financial planner. Because small companies do not have a large workforce, employees have the opportunity to be more versatile, work on new skills and grow in unexpected ways. The meeting was so poorly run that attendees left confused, irritated, and hungry. Issuing smartphones to staff allows an organization to monitor employee communication, ensure compliance with policies and check access to electronic systems. Women working in male-dominated industries such as construction or technology often face hazing, harassment and inequality. Public relations relies on many components including social media to connect with stakeholders, websites to provide information about the organization and events to engage with investors. When interviewing for a new job, applicants should arrive 15 minutes early, bring a résuméand prepare questions. The position requires an individual with experience in advocacy, a background in science and desire to effect change. To stand out in a new position, an employee should show focus, enthusiasm and integrity. Highlights from the global tour included encounters with Angela Merkel, a five-ton elephant and an exotic weapon collector. This entry was posted in 4. Classroom Exercises on August 7, 2018 by bizcombuzz.